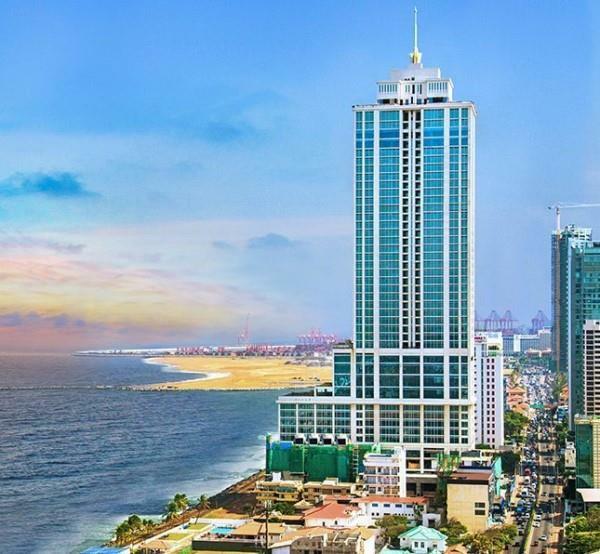 (MENAFN - Colombo Gazette) The Government today defended the decision to divest Hilton and Hyatt Colombo as they are a burden on the Treasury. The Finance Ministry said that the decision to divest Hilton and Hyatt hotels, which are non-strategic holdings of the Government, was decided by the Cabinet of Ministers and proposed in several budget speeches. According to the Finance Ministry, Hyatt Hotel, which is partially completed, has so far cost the Employees Provident Fund, Sri Lanka Insurance and Litro gas, all state-owned organizations and accountable to the people, over Rs 15 billion. Furthermore, these same state organizations would have to put more money and give guarantees to banks for a much higher amount to complete the hotel. "Public money, especially that of the EPF, should not be spent on building hotels, where the returns on investment can take many years. Therefore, the Hyatt hotel has to be divested to a reputable investor with the financial strength to complete the hotel without this being a burden to the State," the Finance Ministry said. The Finance Ministry also said that the Hilton Hotel, which has been profitable, to reach its full potential and compete with newer hotels, needs to upgrade the hotel rooms, which have not been done for 30 years. The cost of refurbishment is expected to over Rs 4 billion. "Also, this hotel has a foundation built for an additional hotel tower and 2 acres of land on which new investment in commercial property or serviced apartments can take place. As a Government owned enterprise, the hotel does not have the financial strength to undertake these new investments and if it does, the Government will have to fund this or expensive loans have to be taken. Therefore, it is justified to divest this hotel to a financially strong investor who can proceed with these new investments and generate more employment opportunities," the Finance Ministry said. The Finance Ministry also noted that the Treasury, EPF, Insurance Corporation and Litro Gas can put the money received from the divestiture to better use for the benefit of the public. "In addition, the Government is committed to give a number of shares in the Hilton hotel to its employees on a scheme to be finalised and advised in due course. Therefore it is in the best interest of all stakeholders and the country's economy to attract new foreign and local private investments into these assets," the Finance Ministry said. On the divestiture process, the Government says it is following a transparent mechanism. Since this is an investment, it is required that investors are provided with a detailed information memorandum that would enable them to carry out a due diligence and investment appraisal. Therefore, the Government decided to appoint an independent financial adviser with offices globally who has experience in divesting hotel assets.Via a cabinet appointed consultancy procurement committee, after issuing a RFP, Lazard Asia of Singapore and MTI Consulting of Sri Lanka were selected as financial advisers with the approval of the Cabinet. They were selected out of 16 international local and foreign financial advisory firms who responded. A Cabinet Appointed Negotiating Committee will be appointed to overlook the divestiture process with the assistance of the Financial Advisers and National Agency for Public Private Partnership. The first step in the process is to call for expressions of interest. This is only for the purpose of identifying who the bidding party is. Via the EOI advertisement placed, interested parties have to indicate their business, financial strength and which hotel asset they have an interest in purchasing. When they contact the financial advisers, the investors will be sent a simple one page format to fill out basic information about themselves and information on the hotels that is non-confidential will be given to them. If investors need more time to respond to the one page format, they can request for this. Therefore, the expression of interest does NOT require a priced bid. "Why this is being done this way is that both hotels are governed by management agreements with Hilton and Hyatt International hotel management companies and these agreements have confidentiality clauses, which restricts the hotel owning companies from releasing sensitive commercial information," the Finance Ministry said.